Deutsche Telekom unveiled plans to push its LTE network to 150 Mbps downlink speeds, to expand its fiber optic infrastructure and reach around 24 million households with up to 100 Mbps service by the end of 2016, and to transform Hamburg into the first “WiFi city”. In a press conference ahead of next week's IFA trade show in Berlin, executives from Deutsche Telekom described the network infrastructure the Group is implementing as "the best possible combination of technologies, including mobile communications, fixed line, Internet Protocol (IP) based infrastructure and wireless connections (WiFi)." In addition, the network expansion will allow the Group to hire almost 6,000 of its own trainees by 2015. Deutsche Telekom is also reducing its outsourcing in favor of internal jobs and is promoting partial retirement over early retirement. “We’re already building the network of the future for Germany today! We’re investing in Germany, for Germany! 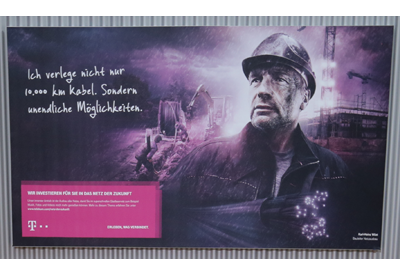 And not just in the urban centers,” said René Obermann, Chairman of the Board of Management of Deutsche Telekom. Regarding the modernization of IP infrastructure (project TeraStream), DT said the large-scale conversion to IP-based connections lays the foundation for integrated networks with expanded functionalities. The IP conversion is also taking place in other European subsidiaries and affiliates – and it’s even happening faster in some places. For example, it will be completed in Macedonia by the end of this year. Slovakia will be the next to finish in 2014, Croatia and Montenegro will follow in 2015, and then Hungary in 2016. 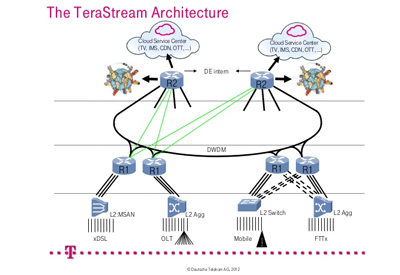 In December 2012, Deutsche Telekom announced the launch of its first pilot of TeraStream IP architecture in the Zagreb area of Croatia. The pilot is being carried out by Hrvatski Telekom, member of Deutsche Telekom Group. TeraStream architecture is based on the "simple – lean – differentiated" approach. It reduces IT complexity by applying the cloud model to network infrastructure. KT is preparing to launch LTE-A service this month using carrier aggregation technology to achieve downlink speeds of up to 150 Mbps. The Korean operator secured the 1.8 GHz frequency band at auction last week. The license covers 20 MHz in the band. KT, which currently has about 6.5 million LTE subscribers, plans a nationwide rollout over the coming months, beginning in Seoul. The company has about 100,000 base stations ready for upgrade. 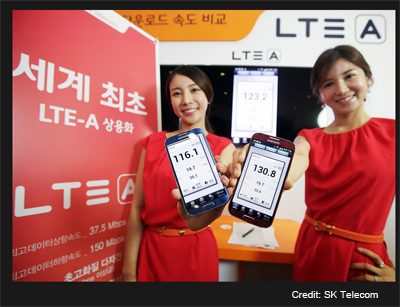 KT also claims its LTE-A will be more energy efficient at the handset, enabling longer battery life for end users. In August, SK Telecom announced an expansion of its LTE-Advanced commercial service network, via its local entity Ericsson-LG, to downtown areas of 84 cities nationwide, including the entire Seoul metropolitan area and six other major cities. The carrier launched its commercial LTE-Advanced service earlier this summer, offering up to 150Mbps mobile broadband speeds, twice that of LTE. The initial launch included the entire Seoul area, the downtowns of 42 cities in Gyeonggi-do and Chungcheong-do provinces, and 103 campus towns. SK Telecom plans to deploy 32,000 LTE-Advanced base stations by the end of the year, which will cover 84 cities nationwide and approximately 300 college campuses. Ericsson confirmed its major role in the SK Tel upgrade, providing the software for Carrier Aggregation and multi-carrier technology for the B5 (850MHz) and B3 (1.8GHz) bands in South Korea’s southeastern regions, where Ericsson partnered with SK Telecom for the LTE network deployment and commercial service launch in 2011. Digital Realty Trust announced its entrance into the data center market in Japan with the acquisition of a 15,000 square meter site in Osaka at a purchase price of $10.5 million. "Our customers continue to demand enterprise-quality data centres on a global scale," said Michael F. Foust, Chief Executive Officer of Digital Realty. "The acquisition of our first site in Japan enables us to expand our world-class data centre platform to meet the growing domestic and global demand for critical IT facilities in Osaka." The new data center is located less than 20 kilometres from Osaka's central business district. Its power architecture can deliver 4.0 megawatts of IT capacity. "Entering the Osaka market represents an important milestone in our growth strategy for the region as we continue to build a truly global data centre platform," said Kris Kumar, Senior Vice President and Regional Head, Asia Pacific, for Digital Realty. 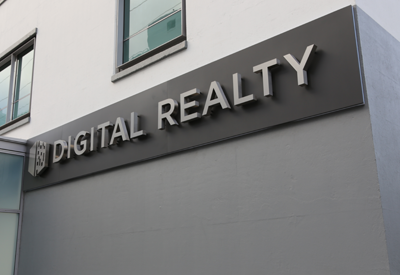 "We are pleased to now be able to offer our customers data centre solutions in Osaka, as well as the other 32 markets in which Digital Realty has a presence today." Siklu Communication's small cell wireless backhaul solutions are now part of the Cisco Small Cell Wireless Backhaul Ecosystem. Siklu’s Gigabit capacity small form factor millimeter wave radios provide a solution for both the small cell backhaul and small cell offload to the macro cell backhaul network. Its EtherHaul-600T is a palm-sized all-outdoor small cell backhaul product operating in the 57-66 GHz V-band that enables rapid deployment anywhere, from street lamps to rooftops. The EtherHaul-1200 is a very small form factor radio operating in the 70/80 GHz, E-band spectrum. "A variety of backhaul technologies will be used for small-cell connectivity; hence the importance and value of the Cisco Small Cell Wireless Backhaul Ecosystem initiative to mobile operators implementing small-cell infrastructure," said Ed Chang, vice president of product management, Cisco. "By collaborating with Siklu, we are furthering our commitment to delivering an end-to-end solution for small cell backhaul and are well-positioned to deliver proven E-band and V-band for mobile operators." Microsoft plans to invest $250 million to build a new data center in Finland. The new facility will serve Microsoft consumers in Europe. The announcement was made in conjunction with Microsoft's bid to acquire Nokia's device business. Microsoft operates a major data center in Dublin, Ireland. 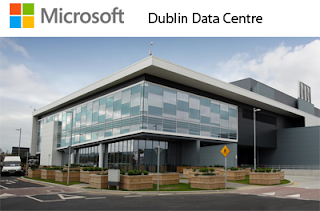 In February 2012, Microsoft announced an additional US$130 million investment to expand its data centre located in Dublin, Ireland. The expansion is driven by increased demand for Microsoft’s cloud services. This investment builds on the original $500m investment Microsoft made in the Dublin data centre, which has been operational since July 2009, serving customers across Europe, the Middle East and Africa (EMEA). RiverMeadow Software, a start-up based in San Jose, California and Westford, Massachusetts, has closed a $12 million Series B financing round to support its automated server migration solution developed specifically for carrier and service provider clouds. RiverMeadow Cloud Migration SaaS version 2.0 automates the migration process for moving both Linux and Windows servers into public, private or hybrid clouds. Unlike other solutions that migrate at the application level and have to account for shared libraries, registry entries and other complex interoperability issues, the RiverMeadow Cloud Migration SaaS migrates whole servers and disk volumes at the OS level. RiverMeadow currently supports AWS and OpenStack. Support for Microsoft Azure (Hyper-V) is on the roadmap for later this year. Investors in the current funding round included Cisco, Violin Memory and others. In April, RiverMeadow announced that Cisco will use the RiverMeadow Cloud Migration SaaS tool in its Cloud On-Boarding Service offerings to help customers easily move entire server workloads to public, private and hybrid cloud environments.